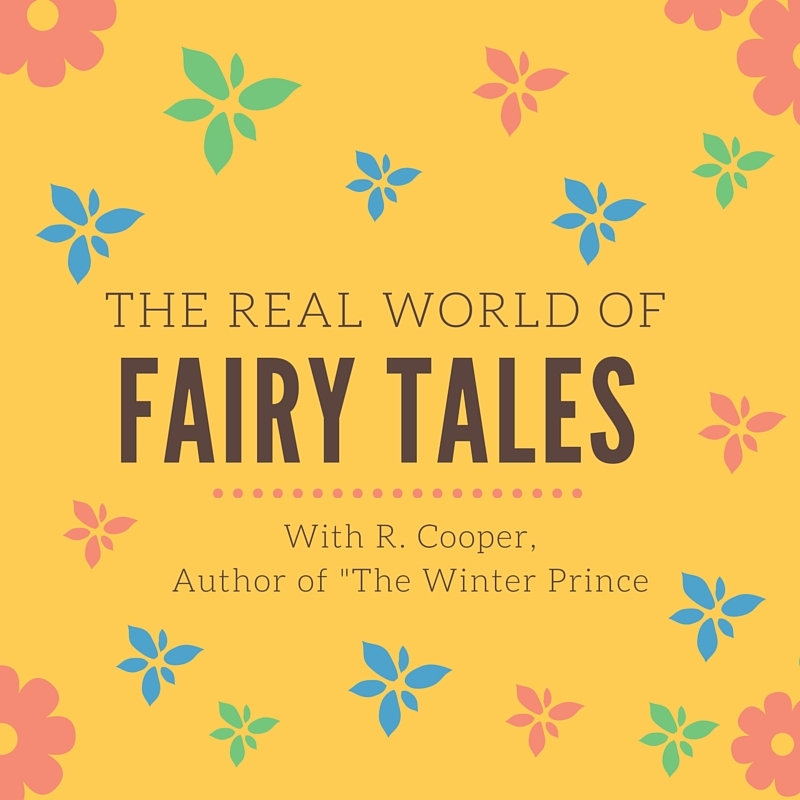 Hello, I’m R. Cooper, mostly known for the Being(s) In Love series, although today I’m talking about a different version of fairy tales than my fairies and werewolves and trolls in the modern world. The Winter Prince is decidedly not modern. It’s the kind of story you’d expect when you hear the term ‘fairy tale’—if your ideal fairy tale includes gay romance, and why wouldn’t it? This is a prince under a curse, and the clever wizard determined to save him, and beasts and dragons and the magical interference of a powerful and mysterious creature. I kind of have a thing for fairy tales, as you might have noticed if you’ve read the Beings stories. Even when I’m not trying to write fairy tales, I end up writing them. My novella, Dancing Lessons, which is entirely contemporary and non-magical, contains a fairy tale I made up to be the basis of a ballet. Well, to be honest, that entire novella has references to fairy tales in it, from magic mirrors to a red hoodie to big bad wolves. Why? Because the main character, Chico, doesn’t think he could have a fairy tale romance. But of course he can, and his prince is right in front of him. Silly Chico. A lot of the time, people, like Chico, use the term “fairy tale” as short hand for romance. Which always makes me think of the A Softer World comic, which sort of darkly comments on asking for a fairy tale romance without having read any actual fairy tales. Real fairy tales don’t always end happily, and some are rather grisly. But fairy tales, and fantastical stories from around the world, are so much more than that. And the heroes aren’t always handsome princes—although those are nice. They aren’t especially rich in detail on their character’s personal struggles. They can range from somewhat risqué early versions of Red Riding Hood with Red stripteasing for the crossdressing wolf in her grandma’s bed (no, really), to dark and cannibalistic tales of starving peasants and murdering stepmothers, to folklore of girls who married lions (or beasts, or Bluebeards), to the melancholy stories of Hans Christian Anderson. Some are clearly allegorical, some are meant to impart a lesson, and some are just fun stories. They get reimagined all the time, and I bet there are countless grad students out there writing papers on them. Like many people, I grew up with them. Disney gets everyone sooner or later, but it’s when you crack open a volume by the Brothers Grimm that things really start to get interesting. Then again, I devoured the bloodiest of Greek myths as a kid too. Any collection of fantastical stories was a book of fairy tales to me. Including this really, really, really censored version of the Arabian Nights for kids that I still own, and a book of Shakespeare plays with these fascinating illustrations of Titania and a fiercely frowning Oberon, and spooky European folklore full of tricky magical beings who live in shadowy places and may or may not intend to harm you, and poems about jealous, vengeful fairy queens intent on trapping beautiful humans in their courts. I read them all like the nerd that I am. Stories where peasants can marry princes, and kings can be heartless monsters. Where wolves talk and hunt humans, but are also sometimes kind princes in disguise. Which raises the question, how do you tell a good wolf from a bad wolf? And does that matter in a world where your own parents might lead you into the woods to die, proving that humans can be as wonderful, or as vicious, as anything magical? The fairy tale world is as uncertain as our world, but with magic as a real, tangible thing. I suspect that’s where the Beings came from. At first the Beings stories were just a fun, silly story written to amuse my friends. Then they became a little more, once I really thought about what it might mean to be a werewolf in a world that teaches us that werewolves lie in wait to mindlessly devour victims, or how it would feel to be a fairy when most depictions of fairies are hardly flattering. In fact, exploring how the stereotype about fairies is that they are beautiful but empty-headed and slutty is part of the next Beings story, involving Tulip the fairy. I love that. Fairy tales in the real world. Or is that, the real world in the fairy tales? Maybe there was a foolish prince who met a firebird, but what did the firebird think about it? If there was a princess who sewed stinging nettles to save her brothers and kept silent for seven years, I bet she had some things to say when it was all over. Anyone could become a rich and powerful sultan if they stumbled into the right cave of treasures, or find themselves penniless and desperate for angering the wrong pari. The creatures themselves manage to operate under otherworldly rules and yet still have human foibles. Perhaps if the humans who told those stories weren’t so self-centered, those magical beings might even have been the heroes of their own tales. Of course, The Winter Prince is not a story about the Beings. It’s a fairy tale. A handsome and noble prince falls under a curse—or so the world thinks—and must go on a quest. But it’s also not a fairy tale, because Kişin is more than just a prince in a storybook. He’s stubborn, and entirely too devoted to duty, and sort of blind to something that should be really obvious, but as the story goes on you begin to see why he is the way he is. And that was what was really interesting to me. How does it feel to be the person in the tale? What are the real reasons a fairy tale character would choose to do these incredible things? To be the prince who, if it was just a story, would be “handsome and noble” and nothing more, while literally having no heart in his chest? The story was born a night on my Tumblr, when I decided I wanted to write a tale with all these fairy tale tropes and elements that I love. What if we had a prince without a heart, a prince who gave away his heart? Symbolic, yes, because it’s a fairy tale and that’s how they work. But then I wondered, what does that mean in the real world, if your real world has magic? A prince with no heart would be unable to feel anything, not love, but also not fear, or rage, or passion. Can he survive like that? The answer is no, he can’t. Without a heart to warm him, he is slowly freezing to death and will not survive another winter. Without a heart to make him care, he is willing for that to happen. The only thing he does feel is terror at the idea of his heart being returned. To Kişin, a heart means pain. Fairy gifts—and curses—always have such specific meanings and I love it. He’s kind of… stupidly stubborn about not wanting his heart back, in fact, as well ridiculously self-sacrificing, which is what you’d expected from someone raised to be an ideal prince. Thank goodness there is someone a little less noble around to give him the proverbial kick in the rear. Someone like a crafty and clever wizard. He’s not the sort you’d expect in a fairy tale, except maybe to give advice or cause trouble, and Razin is fully aware that he has no place in the story of a prince looking for his heart—but he isn’t going to let something like that stop him from saving Kişin’s life. So the two of them go on a quest for Kişin’s missing heart. The best thing about quests is, the object you’re looking for is always with you the whole time. But of course, people on the quest don’t know that. Where would be the fun in that? So they argue and worry and fret and slowly reveal how they got to this place, as the days grow colder and the stakes get higher and the tension between them rises. They are characters in a fairy tale, acting decidedly un-fairytalelike. I fully admit to loving that. Tension between two characters, and pining, and magic are some of my favorite things. Throw in an actual fairy—or a pari, as the case may be, and I am in nerdy romance heaven. What’s your nerdy romance heaven? Let’s talk books of stories and fables and wondrous tales. Let’s pretend we are sitting in a dragon’s carefully curated library and all those amazing titles are on display. Any fairy tales you’ve always wondered about? Have you ever wanted to see, or found, a version of a beloved story that you adored beyond all reason? 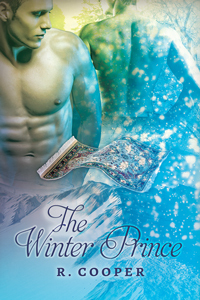 Check out The Winter Prince! His heart stolen by a powerful pari’s magic, a young prince’s veins slowly fill with ice. That is what the stories say. Three years have passed since, and all efforts to save Kisin have failed. He won’t survive another winter. To save the prince’s life, Razin, the court wizard and Kisin’s childhood friend, plans to seek out the pari. But unbeknownst to Razin, Kisin’s heart was never stolen; he gave it freely to escape the pain of impossible love—his love for Razin. R. Cooper lives among the redwoods of Northern California in a tiny house she refers to as her Writer’s Retreat. She has two cats, overthinks almost everything, and has more books than bookshelves. Someone once said her stories stick up for the damaged ones, and that is the greatest compliment she’s ever gotten. She loves mutual pining, fairy tales, and slightly broken everyday heroes with lonely hearts. If you want to contact her or to merely observe a shy nerd in her natural habitat, feel free to visit her Livejournal or Tumblr. I’ve always wanted to read the un-sensored versions of the tales Asbjørnsen&Moe collected in Norway, but I’ve never got around to it.. hmm…I’ll check out the library.. I also read a book a few years ago with alternative versions of some of the most famous stories that I enjoyed a lot, but cannot now remember name of the author..
Roald Dahl has a few reinterpretations that are hilarious. I still enjoy reading tales, and some of the illustrations are breathtaking, and even “cleaned up” as most are they speak of the silly and pompous, brave and kind..humanity as it is. I always loved fairy tales as a child and still as an adult. As you mentioned, the tales could be quite bloody and sad. There are “color” fairy tale books by Andrew Lang on Amazon, e.g. The Blue Fairy Tale book etc, that I downloaded, but I’ve only started on the Blue one recently. Since I’m a fan of both your Beings stories and your contemporary ones, I’ll be on the look out for this one too. I have always loved fairy tales! I read them all as a child, including an enormous tome of Italian folk/fairy tales. Looking forward to your new book! How do you pronounce the names? I have this thing about names when I’m reading – I want to be sure I’m saying them correctly, even if just in my head. Like you, I’ve always loved fairy tales from all over the world and am partial to the original versions rather than the watered-down variety. One of my favorites has always been The Red Shoes by Hans Christian Andersen. @ Hvitveis I don’t think I know about those Norwegian fairy tales. *intrigued* But oh my goodness, I love fairy tale illustrations! Some of them are truly incredible. There is a tumblr out there… I need to look up the name… anyway it’s a library’s archive/special collections department, and they post pictures of these beautiful old books sometimes and I am in awe at so many of the covers! @Jbst Not to go on and on about book covers and illustrations, but I love some of the covers I’ve seen for the ‘color’ fairy books. SO PRETTY! It’s been years since I’ve read them, but I remember a few stories where, even if they weren’t violent, definitely had some tricky qualities to them. Foxes outsmarting their prey (or vice versa). I love that in stories we tend to think of now as for children, when they come from a tradition where everyone listened to these stories, and they thought kids should know to watch out for clever, clever (and possibly lying) foxes. Well, when I say Razin I roll my ‘R’ ever so slightly and soften the ‘z’ to more of an ‘s’. And the ‘in’ I tend to pronounce as a short “een” but I think that’s the Spanish coming out. @Kelly Gunter Atlas Omg! That story The Red Shoes was such a surprise for me because I saw the movie first! Not that both are horribly sad in different ways. Hans Christian Anderson’s stories in general are so sad. (The Match Girl oh wow) Did you know he was probably ace and/or gay or bi? I don’t know how much that affected his work, but I find it fascinating to think of now, when you consider stories like The Little Mermaid. In terms of illustrations aaahhh Arthur Rackham. I love his illustrations so freaking much. I need to reread the Snow Queen, I think. This story got compared to it, and then you said this, and now I simply must! Looking at fairy tales through the lens of science reveals some stories aren’t as far-fetched as they initially appear to be. Here are five real-life examples of fairy tales coming true.